Irish-American pub food and live music six days a week. : Coronado’s beloved Irish bar is a draw for locals, as well as the U.S. Navy Seals who train on the nearby beaches. 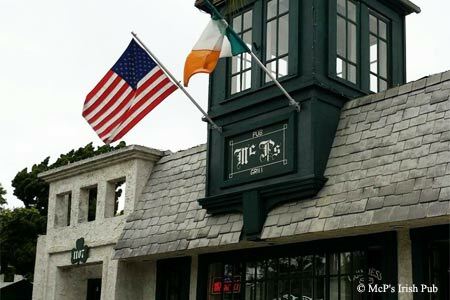 Located in the heart of the town's charming village and a short walk from the Hotel Del Coronado, McP’s serves well-prepared Irish-American staples like corned beef and cabbage, mulligan stew and fish ‘n’ chips, as well as steaks, burgers, sandwiches and, strangely, quite a few Mexican dishes. The dog-friendly patio is ever popular and families are welcome until 10 p.m., as they have a kid’s menu, too.